Multi Use – Caravans, Inline, with hoses, home, office or for portable use. Standard Carbon filters do not qualify as well as Silver Carbon in these applications. Suits any general filtration use where taste/odour and chemical extraction are desired. However, we are targeting the demand within the Caravan Fraternity where the simplicity of this filter rivals all other Van filters on offer today. 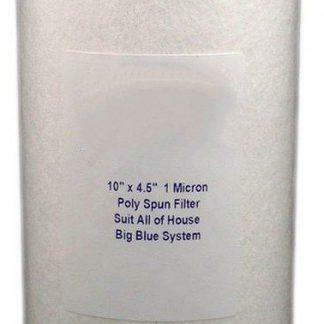 Silver Carbon Caravan Filter-Contains SILVER STABILIZING CARBON with unique Anti-Bacterial properties for premium water filtration. Provides 5 micron filtration. Easy to Adapt. Not necessary to refrigerate between trips (however we do recommend this if possible) Refillable / Re-usable. Multi Use – Caravans, Inline, with hoses, home, office or for portable use.